WASHINGTON — The House Science Committee approved July 24 a modified version of a space weather forecasting bill that the Senate passed last year amid criticism of the committee’s approach to the legislation. The committee approved on a voice vote an amended version of S.141, the Space Weather Research and Forecasting Act. That bill was introduced in the Senate in January 2017 and passed by unanimous consent in May 2017. 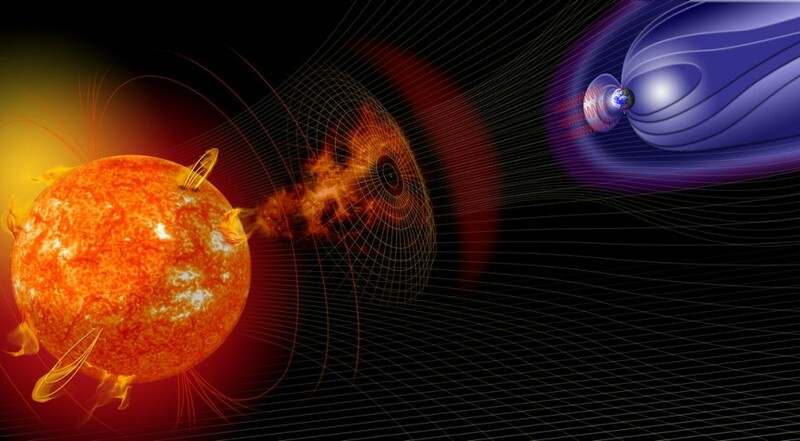 The original version of the bill codified many elements of a space weather strategy developed during the Obama administration, assigning responsibilities to various government agencies regarding forecasting of space weather and planning to mitigate the effects of major events on critical infrastructure. The House originally intended to take up a companion bill, H.R. 3086, introduced last June by Rep. Ed Perlmutter (D-Colo.) That bill’s original cosponsors included then Rep. Jim Bridenstine (R-Okla.), now the NASA administrator, and Rep. Eddie Bernice Johnson (D-Texas), ranking member of the House Science Committee. What the committee did instead was take up an amendment that substituted the text of S.141 with a new bill. Among the differences in the amended bill are provisions that give responsibilities for space weather coordination to the National Space Council, which had not yet been reestablished when the Senate passed S.141 last year. Under the revised bill, the National Space Council “shall establish national priorities for space weather” and create a National Committee for Space Weather Observation and Forecasting who would create a plan for delineating responsibilities for space weather activities. The bill also establishes a pilot program for acquiring commercial space weather data, patterned on a similar program at NOAA for commercial terrestrial weather data. “By tasking the National Space Council with overseeing this framework, this amendment sets out a strategy that is consistent with the current administration’s approach to the management of space issues, and raises the profile of space weather and the serious threat it poses,” said Rep. Lamar Smith (R-Texas), chairman of the committee. Johnson, though, criticized the amendment largely because of the approach the committee took to considering it. She noted the bill was added to the markup session only three days earlier, during the weekend, giving members little opportunity to review it or submit amendments for consideration by the committee. She questioned the haste at which the bill and its amendment were added, noting that it was done so quickly it required the committee to also take up a manager’s amendment — an amendment to the amendment — to make last-minute changes, even though the original bill and Perlmutter’s companion were introduced more than a year ago. “We could have considered these bills at any point in the past year instead of jamming the members of this committee with a late markup notice,” she said. Smith said he added the bill to the markup session after discussing it with Perlmutter and Sen. Gary Peters (D-Mich.), a sponsor of S.141. “This was all in an effort to try to, frankly, keep a commitment I made to Mr. Perlmutter and the senator to mark up this bill before we broke for our August recess,” he said. Johnson introduced an amendment of her own that would have effectively replaced S.141 with the H.R. 3086. “The text of my amendment has been vetted by the outside community for well over a year versus three days,” she said, noting that NOAA’s legislative affairs office had not received a copy of the amended S.141 prior to the markup. The committee rejected Johnson’s amendment on a 13-to-19 vote, with Perlmutter joining the committee’s Republican members in voting no. Perlmutter’s amendment, the manager’s amendment and the overall bill passed on voice votes.